Do you love Valentine’s Day? Do you love all things pink and red? 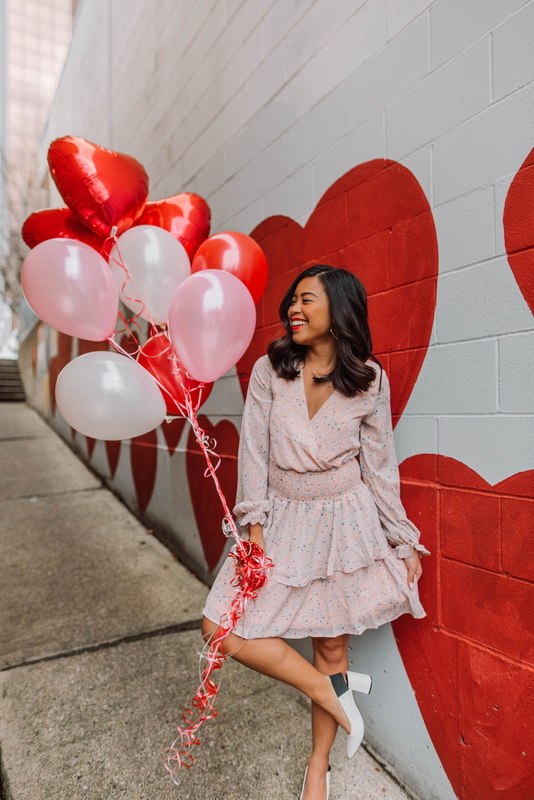 Here are 7 instagram worthy Valentine’s Day spots to check out in Seattle right now! I personally love everything pink and red – which means I love Valentine’s Day! I love the pink and red hearts, balloons, and outfits. 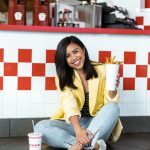 As a blogger, I’m always looking for the most Instagram worthy places in Seattle and the new cities I visit. 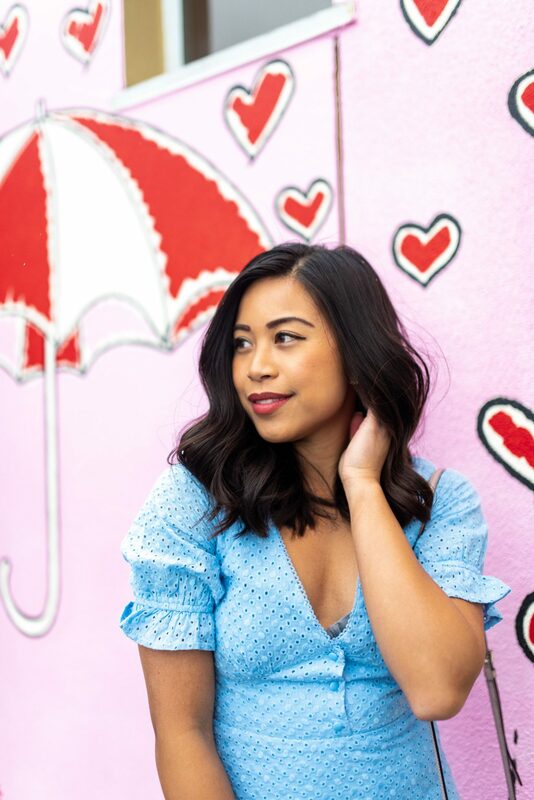 So this month I wanted to share the most instagrammable Valentine’s Day Spots in Seattle! 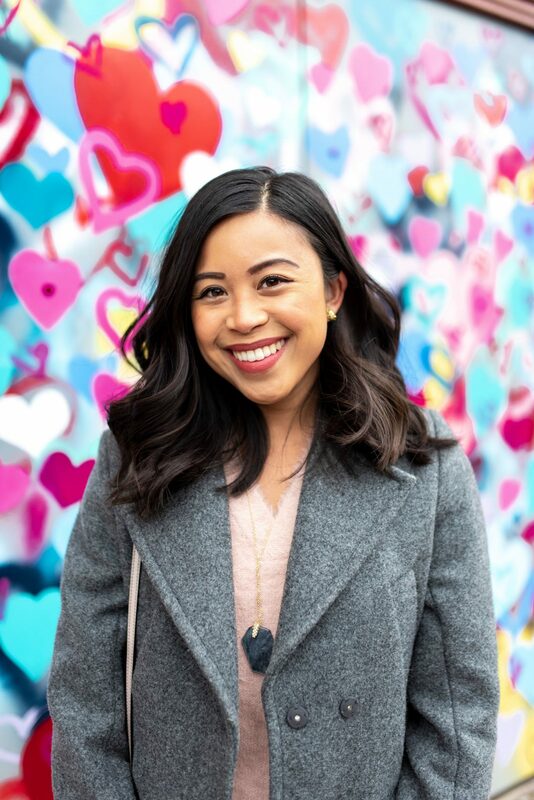 If you’re looking for take photos for Valentine’s Day or are searching Instagram worthy places in Seattle, this blog post is for you! This round up features pink walls, heart murals, and even a flower wall in a poke shop! 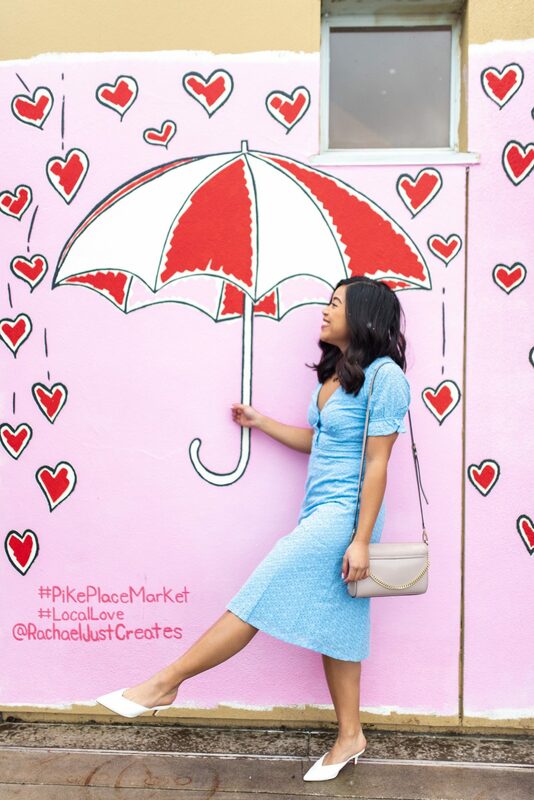 Did you know that Pike Place Market is installing 9 different art Installations for February? I found out that all 9 installations will be available on February 23rd for Love in the Market. One of them is by the Paper Feather on Western Avenue and is already up! This mural was created by Brooke Westlund, Achaval, and the Paper Feather. This mural is located in the new section of Pike Place Market. I loved the umbrella and the raining hearts! This mural was created by Rachael Just Creates. 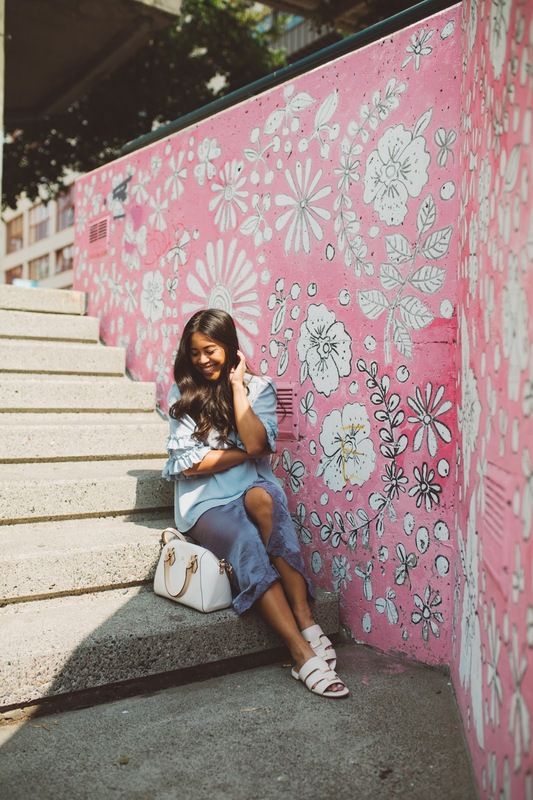 I first featured this wall in my Seattle’s Most Instagrammable Walls round up! It’s still one of my favorite Instagram worthy walls in Seattle. 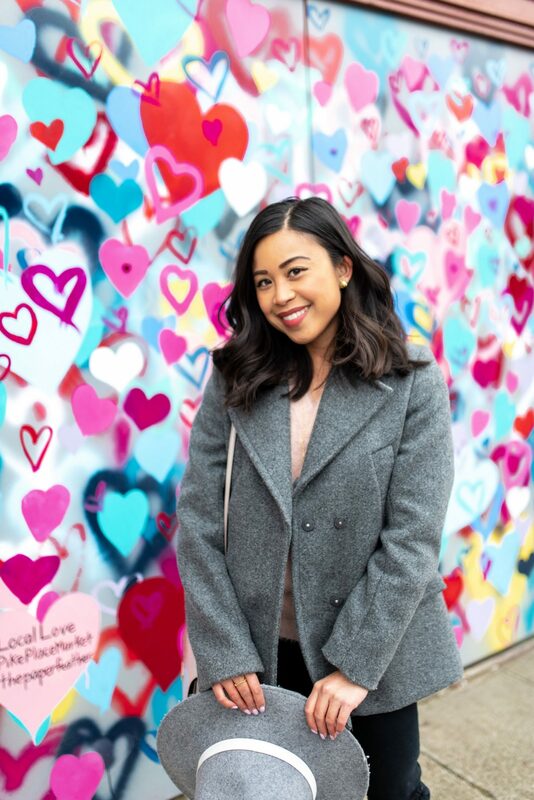 This wall is perfect to take a photo in front of for Valentine’s Day! I initially learned about this wall during my collaboration with the Purple Purse Allstate Foundation last year. This colorful mural is located in Seattle’s Capitol Hill neighborhood. And the artist who created this mural is Ellen Picken. The Landmark Guild 45th Theater first opened in 1919 and closed in 2017. I absolutely love this pink theater! You can check out more photos in front of this theater in my previous blog post: Photography Posing Ideas for Instagram: 8 New Poses to Try. 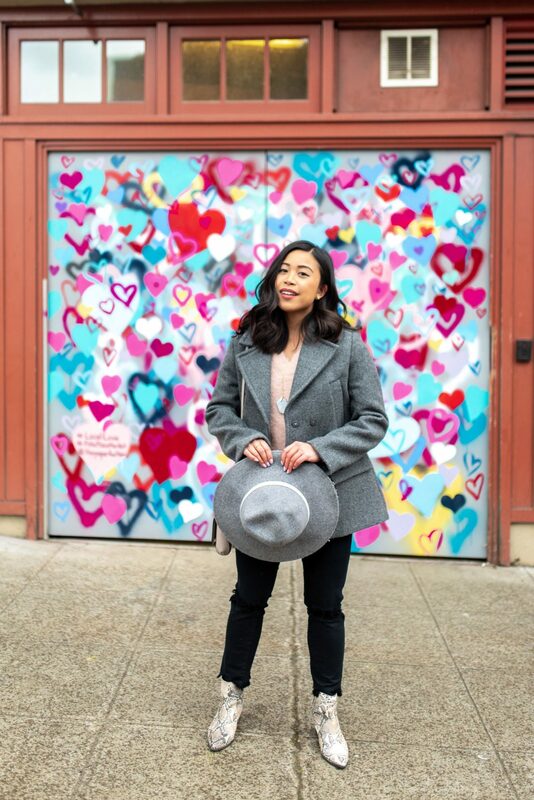 If you’re over in the east side and you’re looking for a place to take photos this Valentine’s Day, check out the heart mural right behind the Blank Space Café. 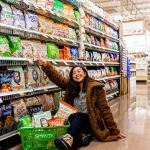 This definitely one of Bellevue’s most Instagram worthy places! 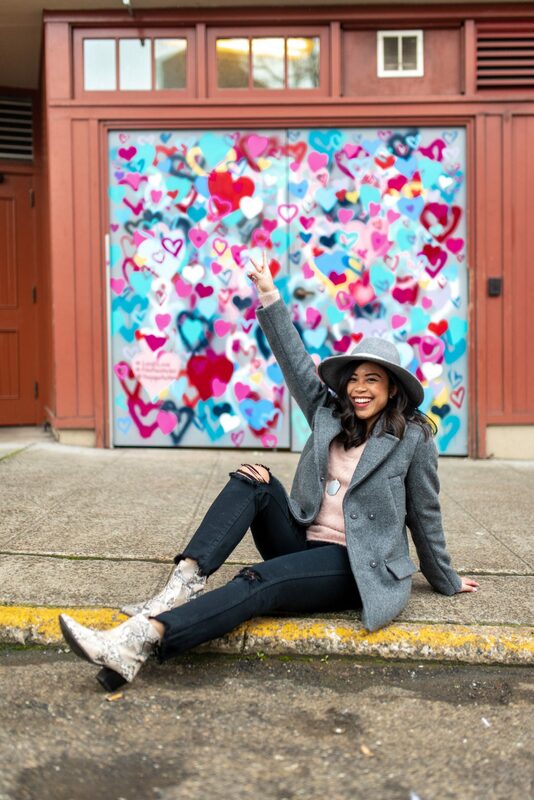 My friend Maddy and I teamed up for a Galentine’s Day photo shoot at this mural. 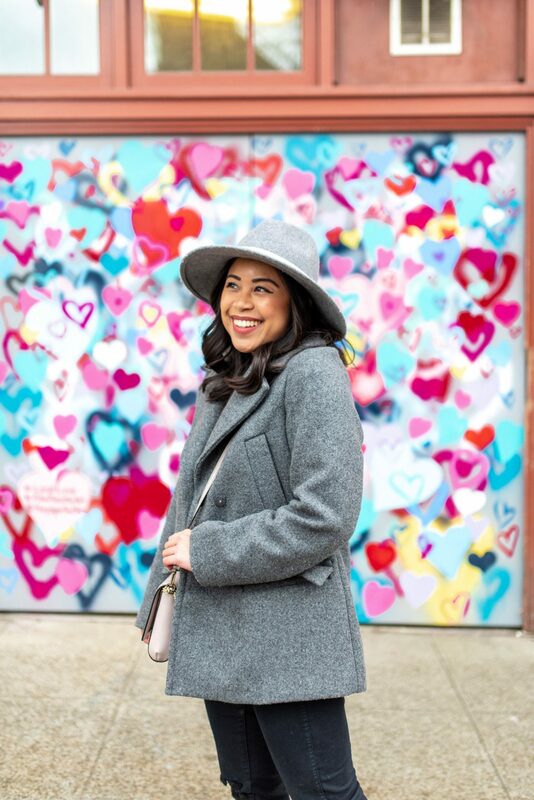 You can check out more of our photos at: 7 Cute Galentine’s Day & Valentine’s Day Outfit Ideas! 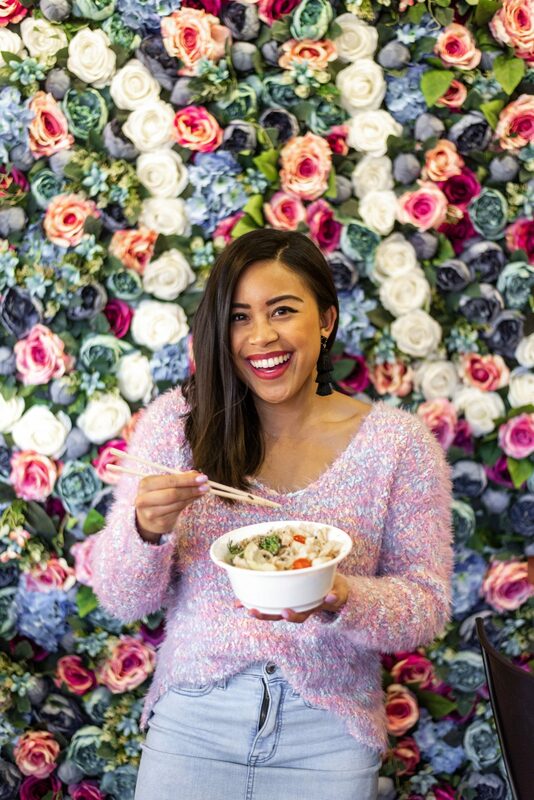 Do you love poke bowls and flower walls? If you do, you have to check out Poke Lover’s Ballard location. 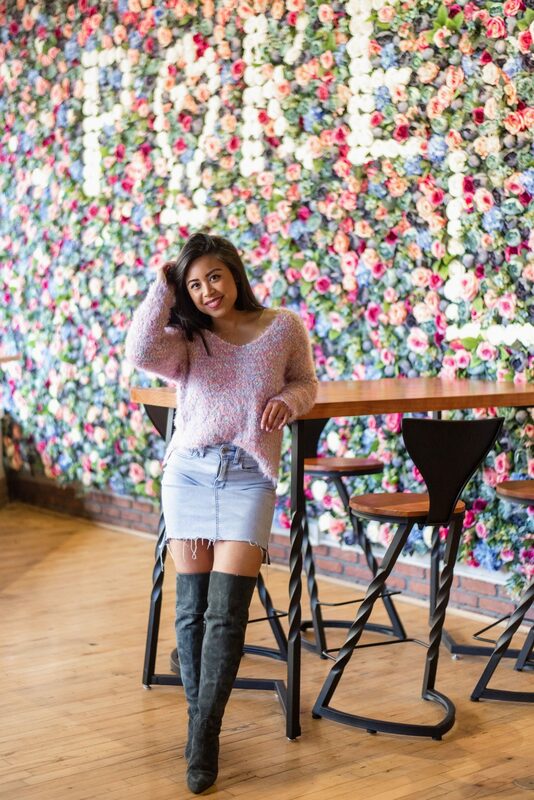 This epic flower wall is such a great Valentine’s Day backdrop for you, your date, and your bowl of poke! 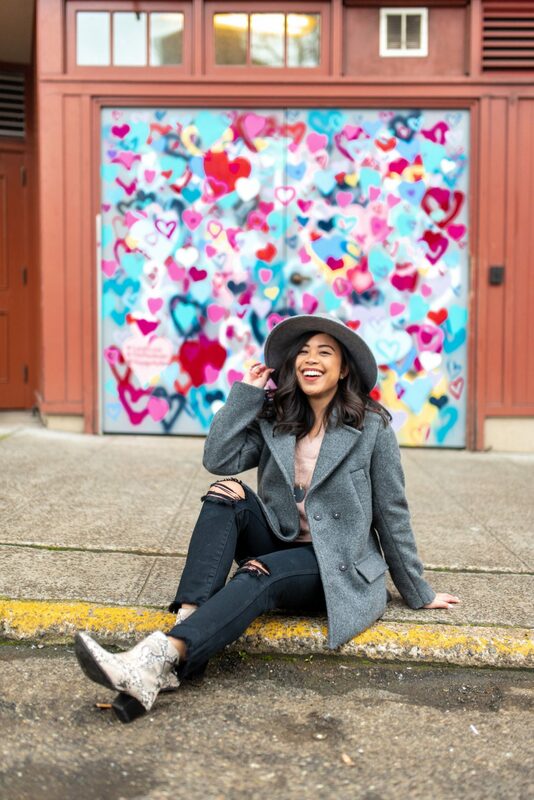 What other Instagrammable Valentine’s Day spots have you visited in Seattle? Thank you for reading! And I hope you have a wonderful time finding these places and taking photos for Valentine’s Day! Previous Post Hello Sprouts! Welcome to Lynnwood! So many photo opportunities I love it! 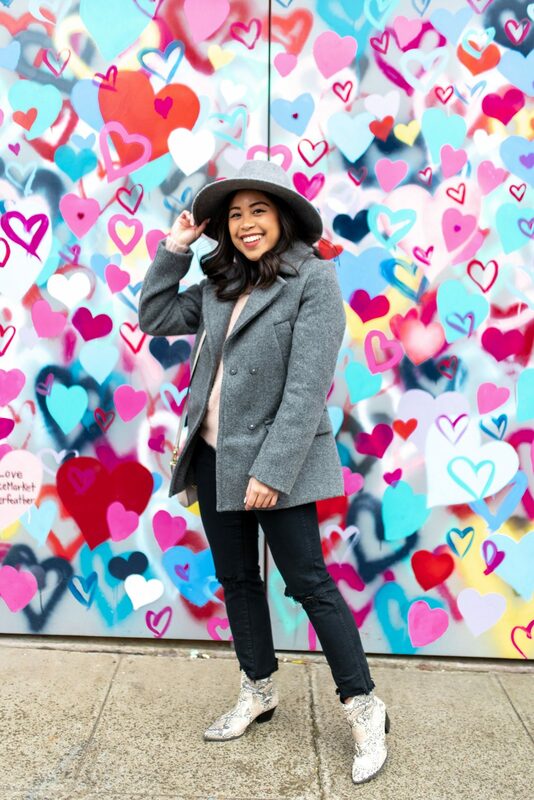 I am a fan of all things heart too and that second mural with the heart and umbrella is just the cutest! Your outfits are fabulous too Emma! 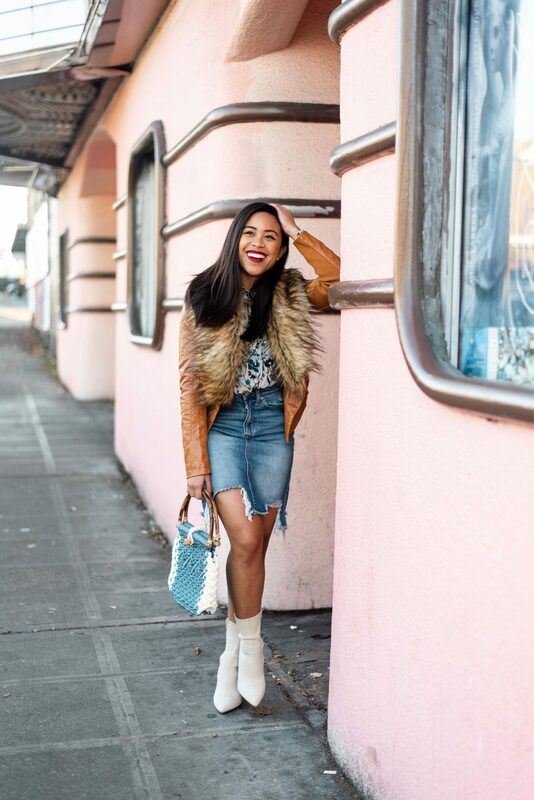 Love your snakeskin booties and faux fur cardigan. Going ga-ga over here! Happy weekend lady! I love poke and haven’t head it enough lately! I’ll have to go visit that last flower wall! Yes! I just moved to Seattle and it always takes me forever to find place to take pictures.